The extra weight on the end-load is what will catch most batter’s attention once they have this bat on their hand. Although it is only 0.5 oz heavier than what you would expect from other end-load bats, the difference is very evident. Most power hitter will be confident of an impressive performance even before they swing it. The graphics are not very attention-grabbing, but they are still quite attractive and trendy. Apart from the aggressive end-load this bat also features a three-piece pure carbon composite construction, TRU3 technology, grit blast finish, and a stiffer connection that enhances the transfer of power to the barrel. And for the handle, you get a 7/8-inch tapered handle with a comfortable and firm grip. This bat comes with tournament approvals from USSSA, ISA, and NSA but you can still use it in many other tournaments. Barrel: This bat features a standard 12-inch long barrel with a diameter of 2 1/4 inches. Also, it is an aggressive end-load with 0.5 oz extra weight for maximum power potential. Material/Construction: Louisville Slugger makes this bat with pure carbon composite fibers to enhance its performance and to ensure that it lasts for a long time. Grit Blast Finish: The grit blast finish increases the back spin to make sure that batters always get more carry and impressive distances. TRU3 Technology: The TRU3 technology reduces vibrations, minimizes the sting and also provides an outstanding feel on impact. This three-piece bat also features a stiffer connection to enhance the power transfer. Handle: With this bat, you get a standard 7/8-inch tapered handle and with a firm and comfortable grip to ensure minimum hand fatigue even after extended use. 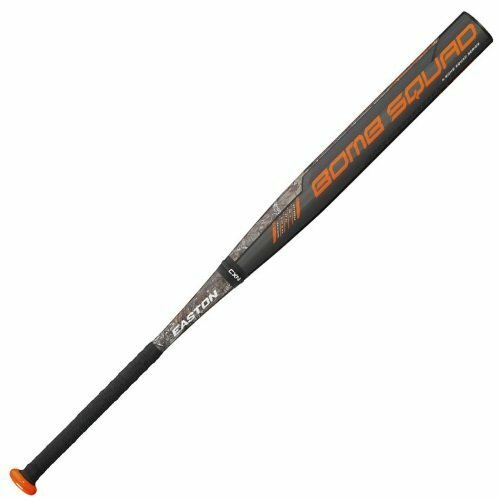 Tournament Approvals: You can use this bat to play in USSSA, ISA, and NSA tournaments. It has massive pop right out of the box. 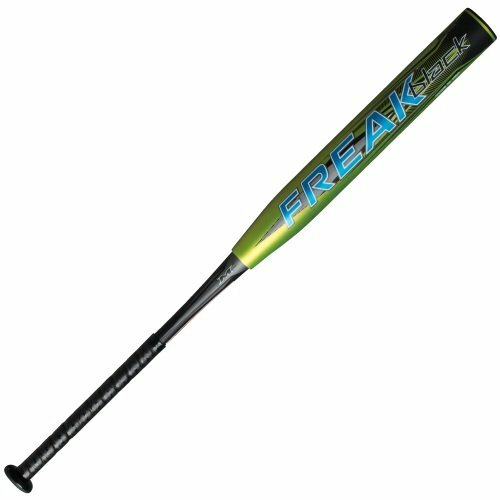 This bat has some stiffer connections to enhance power transfer. The TRU3 technology helps to control vibrations and provides an outstanding feel on impact. Louisville Slugger uses a pure carbon composite material to make this a high performing bat and to ensure durability. This bat provides increased back spin for more carry and distance thanks to the grit blast barrel finish. The aggressive end-load improves the power and overall performance of the bat. The sound is not very impressive. It requires a long break-in. The aggressive end-load might be too much for contact hitters. You can always expect Louisville Slugger to produce some high-quality and high performing softball bats as they are a very reputable brand. The aggressively end-load Z4 is ideal for a power hitter that is on the market for something that offers maximum power potential. Apart from the extra 0.5 oz on the end-load this bat also has a top notch three piece construction and with minimum sting and vibrations. However, the sound that it makes on impact is not very impressive, and it will also require many swings to make it game ready. But, it is still worth trying out, and this is more so for the players that prefer to swing bats with a heavier barrel.